Congratulations to Adam Barwell, who successfully defended his thesis yesterday. Adam’s thesis was supervised by Professor Kevin Hammond. 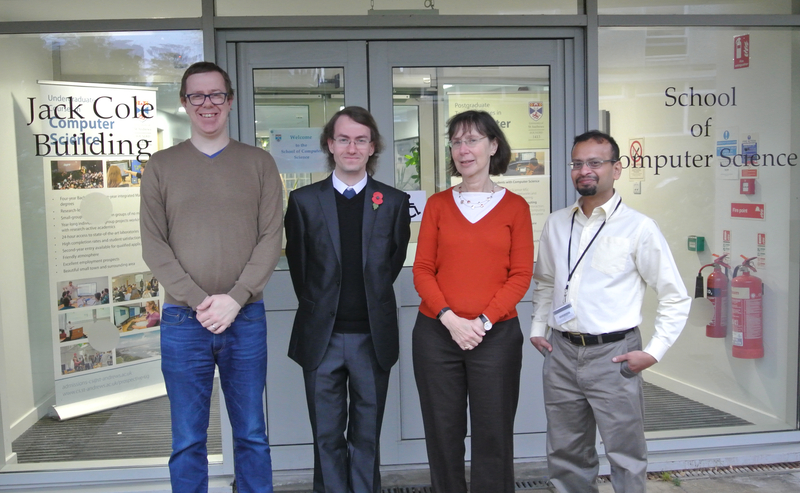 He is pictured with second supervisor Dr Christopher Brown, Internal examiner Dr Susmit Sarkar and external examiner Professor Susan Eisenbach from Imperial College, London.